« Protose Takes the World by Storm!! Sorry Men, No Milk for You! The Tenement Museum Blog has launched a series of posts on food and immigration. 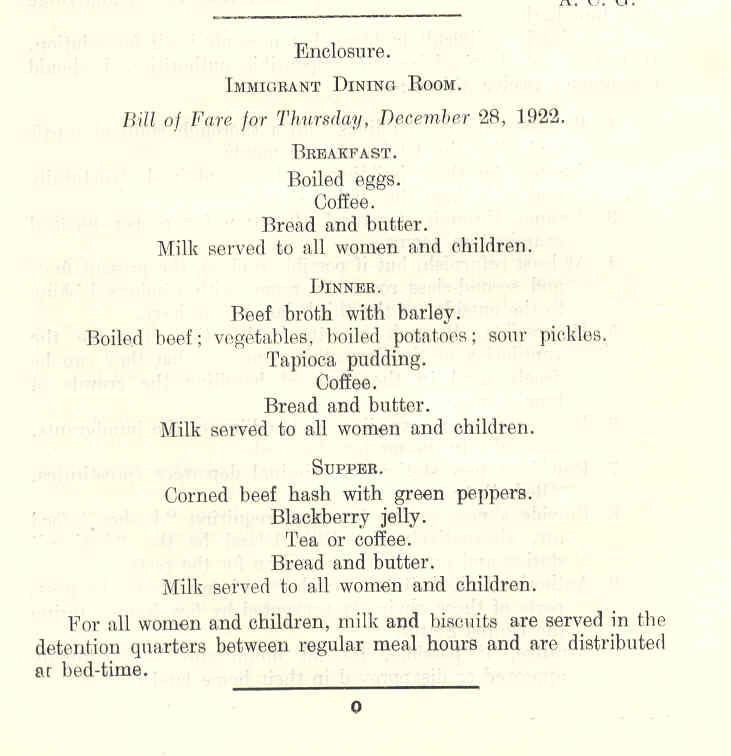 I was intrigued by this “Bill of Fare for Thursday, December 28th, 1922″ from the Ellis Island dining room.